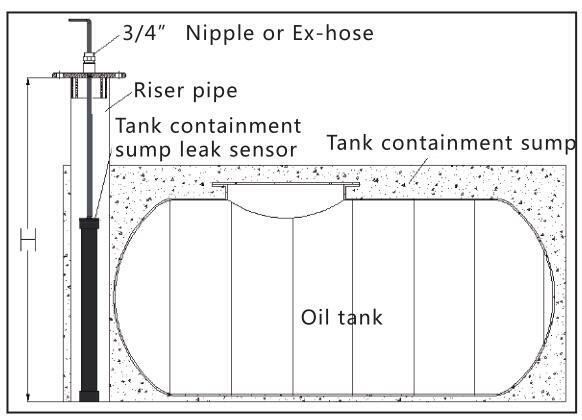 FSLS-1 is installed in the riser pipe of tank containment sump or a groundwater monitoring well to monitor if there is any liquid in the tank containment sump or fuel on the underground water in the well in real time. Three alarm points are set to detect the liquid is fuel or water. Self-detection function can detect open circuit or short circuit.